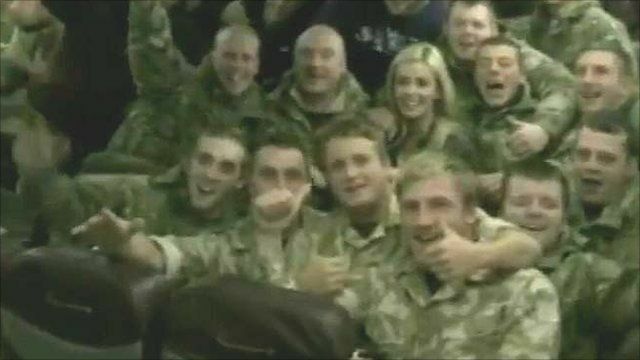 Katherine Jenkins staged an impromptu performance of Silent Night for 160 soldiers on board a plane after her flight to entertain frontline troops in Afghanistan was grounded. The singer, from Neath, was travelling with James Blunt and comedian Kev Orkian for the Christmas trip but, after hours of delays, the flight was eventually cancelled. She linked to the footage filmed by the British Forces Foundation, of which she is a patron, on You Tube via her Twitter account.